"We can say with some confidence that the world champion is back!!!!" - Tim Hutchings talking on ESPN after Jenny Simpson's SENSATIONAL first race back under the tutelage of college coach of Mark Wetmore. 15 mph winds didn't stop Simpson from running a world lead and dominating the US's best. Kudos To Drake - $50,000 per event in prize money - Someone get Brenda Martinez on a plane!!! Tim Hutchens (sic) on Jenny Simpson "The World Champion is Back." German Fernandez in OD Mile at Penn Relays tomorrow! *Quotes from Friday's stars. Simpson was pumped as her grandpa was a Drake grad. Jenny Simpson Happy To Be Back With College Coach Mark Wetmore I don't think it's because (Juli Benson)'s less of a coach. I think it's because she's a different type of coach. Mark just has a method that is perfect for my talent set." Olympic Silver Medalists Bjornk Otto And Yarisley Silva Win Drake Relays Mall PV Competition Rare defeat for French Olympic champ Renaud Lavillenie. Lolo Jones Says She's Returning To The Track From Bobsledding "Hercules Strong" And, As Aries Merritt Did Last Year, Has Moved To The 7-Step Approach She'll face Dawn Harper and Kellie Wells on Saturday. David Rudisha Opening His Season With A 400 In Kenya This Weekend Others expected at the meet include Pamela Jelimo and Asbel Kiprop. The BBC Looks Back At The Horrifying Stories Of The East German Doping Scandals, Where Athletes Were Treated Like "Chemical Field Tests" "They talk of stolen childhoods and long-term health traded in for medals, of dissenters bundled into wooden crates and young women growing up to look and speak like men." BBC Looks At British 4 X 100 That Lost Gold Medal To East German Athletes And Asks The Question Why The IAAF Doesn't Correct The Record Books After This Well-Documented Doping Former East German sprinter Ines Geipel: "I do think the IAAF should at least react to it, should maybe honour them again, those who only got silver, or should in principle look at these lists. I simply don't know why it isn't being dealt with seriously." Aslı Çakır Alptekin Left Off Turkish Team For Mediterranean Games As She's Being Investigated For Doping After Abnormalities In Her Blood Embarassingly, because of doping ban, defending European 100H champ Nevin Yanıt will be unable to compete in the stadium that was named after her. Kenya: Athletics Kenya Names World Champs Marathon Squad "Short List" Of 20 Athletes (10 Men, 10 Women) At first glance you might think "narrowing" the list down to 20 is absolutely useless; however, that leaves WR holder Patrick Makau and 2:03 man Geoffrey Mutai off the list. Those making the cut include defending World champions Abel Kirui and Edna Kiplagat as well as Boston/London champs Rita Jeptoo and Priscah Jeptoo and Eliud Kipchoge (2:05:30 debut at Hamburg last weekend). Japan: Japan Announces Marathon Squad For 2013 Moscow World Championships: 5 Men And 3 Women WC 5th placer Yukiko Akaba, who ran 2:24:43 in London, is left off because overseas races over their 'standard' of 2:24 weren't considered. MB: How does the US determine who goes to Worlds for the Marathon? *US only sending three to World Champs in marathon? Florida High School Senior And His 13-Year-Old Quadruple Amputee Brother Trying To Raise $1 Million For Boston Marathon Amputees Their site has been live for 2 days and they've raised $13,000. Garrett Heath And Kate Grace Win US Road Mile Championships As 1,500 Medallists Manzano And Rowbury Struggle Heath won with 4:02.79 over Jeff See (4:02.91), Leo Manzano (4:03.59) and Craig Miller (4:03.60); Miles Batty was 6th (4:04.53). Grace won with 4:43.02, outkicking Sara Hall (4:43.61) and defending champ Heather Kampf (4:43.69). Shannon Rowbury was back in 6th (4:45.39). Kansas Relays: *Full Results *Cory Leslie Runs Away Early From Leo Manzano, Nick Symmonds, Lee Emanuel In Mile Leslie ran 3:58.18 to Manzano's 4:00.13 and Symmonds' 4:00.21. Emanuel was 4th (4:01.98); AJ Acosta was 9th (4:11.73). Leslie also won the Blue Shoes Mile earlier this month. Pre-Meet: Walt Murphy's Incredible 2013 Penn Relays Meet Preview The dean of Eastern track and field has previewed the entire meet like only he can. MB: Official 2013 Penn Relays Men's 4 x 800 Thread: Who You Got Oregon of Penn State? Mitch Kastoff Previews Sunday's Stanford Women's 10k - Who Wins & Will Hasay Get The "A"? USATF Preview Of "US Vs. The World" At Penn Relays This Weekend US DMR relay pool includes Bernard Lagat, Nick Symmonds, Duane Solomon, Andrew Wheating and Erik Sowinski. Will be broadcast live on NBC from 1-3 p.m. ET. Meet is also on Universal Sports from 3-5 p.m. ET. 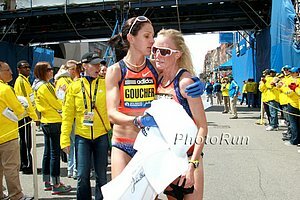 JapanRunningNews' Brett Larner Analyzes Japan's Marathon World Champs Selections And Offers Some Criticism Of The Japan Federation's Women's Selection They chose to only send 3 women even though 2011 Daegu World Championships marathon 5th-placer Yukiko Akaba ran 2:24:43 for 3rd at the London Marathon (one of their selection races). Weird Twist In Oscar Pistorius' Brother's Court Case As The Judge Had The Entire Courtroom Leave The Building And Travel To The Scene Of The Alleged Crime Pistorius' brother is accused of driving recklessly and causing the death of a woman motorcyclist. World Junior Championships 200m Champ Delano Williams Says He Has Considered Representing Jamaica At The Senior Level He is from Turks and Caicos so cannot run for them at the Olympics since they aren't recognized by the IOC, but currently runs for the UK since Turks and Caicos are a British overseas territory. World 800 Bronze Medallist Janeth Jepkosgei Leads Kenyan 4 X 8 For Penn Relays Also on the team are former Olympic 1,500 meters champ Nancy Langat, World Indoor 3k champ Hellen Obiri and Winnie Chebet. Olympic 400 Silver Medalist Christine Ohuruogu Leads GB 4 X 4 Squad For Penn Relays Eilidh Child, Shana Cox and Perri Shakes-Drayton make up the other 3. GB will also send teams in the women's 4 x 800 and men's 4 x 100, DMR and 4 x 400. 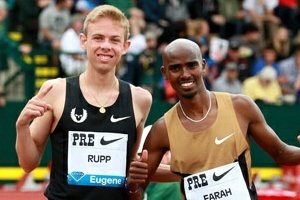 Oregonian's Ken Goe Follows Along And Describes A Long Workout Day With Galen Rupp And Mo Farah (Includes Video) 5-hour day including speedwork, gait analysis, and core/weight room training. Running Banned At Three Oregon Wildlife Refuges Because It Could "Stress" The Animals However, hiking and deer hunting are still allowed. So you can kill the animals, just don't spook them. 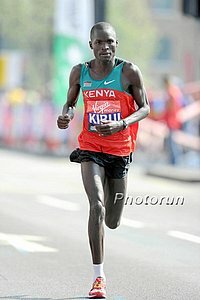 Hamburg: 2003 5,000 World Champ Eliud Kipchoge Wins Debut In 2:05:30 The fastest marathon of the weekend. 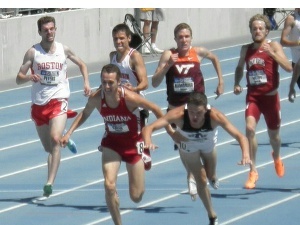 *USATF Elite Athlete Spotlight - Garrett Heath He's getting his PhD from Stanford soon. One smart (and fast) dude. Boston Marathon Bombers Were Planning On Attacking NYC's Times Square With The Rest Of Their Explosives Before They Were Stopped They were trying to drive to NYC in their stolen SUV, but the carjacking victim they were holding hostage escaped when they stopped for gas and called the cops. Seb Coe On Boston Bombings: "I heard it on a car radio and I felt sick to the stomach..."
OTB: Older brother triggers both bombs. Change anything? *No gun found in boat? This Could Be Jeff Demps' Last Week With The Patriots He wants to do track and football and the Patriots haven't made it clear to the public if they're willing to let him do both. Galen Rupp Talks About Winning His Silver Medal And How He's More Motivated Than Ever To Win "I remember sitting back with Alberto when I was in high school, just 14 or 15 years old. 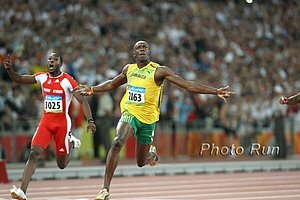 "He told me that 2012 and 2016 were probably going to be the two Olympics when I would be physically capable of getting a medal. It was such a long-term goal when we talked about it, even back then..."
May 9th: Nick Willis, Boaz Lalang, Garrett Heath, Aaron Braun And Craig Miller Lead Men's Field For May 9th Medtronic TC 1 Mile The women's field is headlined by US's Phoebe Wright, Heather Kampf, Aussie Olympian Gen LaCaze and Canadian Olympian Nicole Sifuentes. Aries Merritt And Brittney Reese Added To Fields For Next Month's NYC adidas Diamond League Meet Others previously announced include Tyson Gay, David Rudisha and Veronica Campbell-Brown. Renaud Lavillenie (PV) And Christophe Lemaitre (200) Added To Fields For Paris DL Meet On July 6th Usain Bolt has already been announced for the 200. IAAF To Set Up A Blood Testing Center In Eldoret, Kenya, Which Should Be Established In The Next 3 Months Also looking at putting one in Eldoret or Nairobi. Recommended Read: IAAF Profile On Ethiopia's World Junior XC Champ Hagos Gebrhiwet, Who Is Being Referred To By Some As "The Next Kenenisa Bekele" The 12:47 5,000 man had a more difficult than usual East African "rags to riches" story as he had lost both this father and mother by the time he was 13 and actually quit running and school at one point to do farm work to provide for his 5 younger siblings. Best comment you've ever gotten while running? Would you run for a foreign country in the Olympics if you had the B standard? 2:20 Marathon: How Much Talent Required? 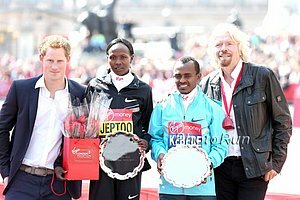 If Mo had stayed in, he would have won the London Marathon? Can Rupp go sub 2:05 in the marathon?